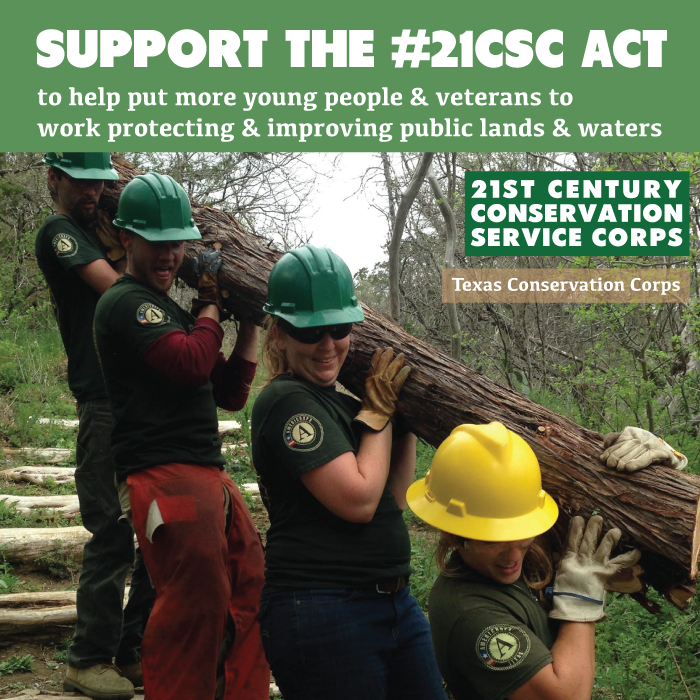 The 21CSC is a bold national initiative to annually engage 100,000 youth and veterans in service on America’s public lands by 2018. 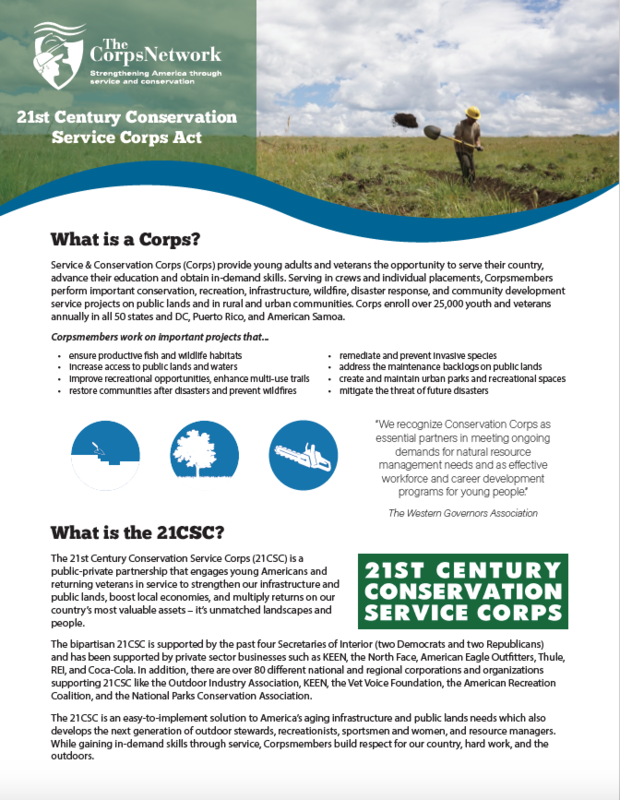 The 192 official 21CSC member organizations currently engage tens of thousands of young people every year in completing quality, cost-effective maintenance and improvement projects in city parks and on public and tribal lands and waters across the country. 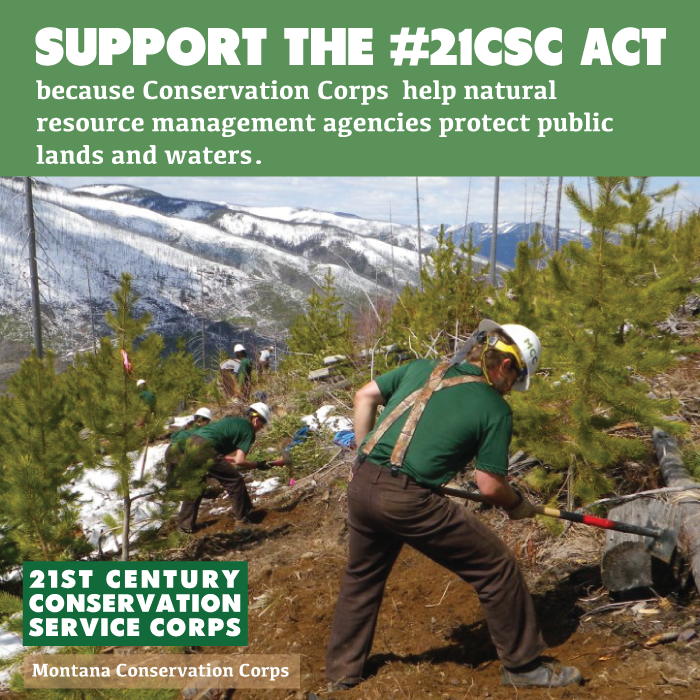 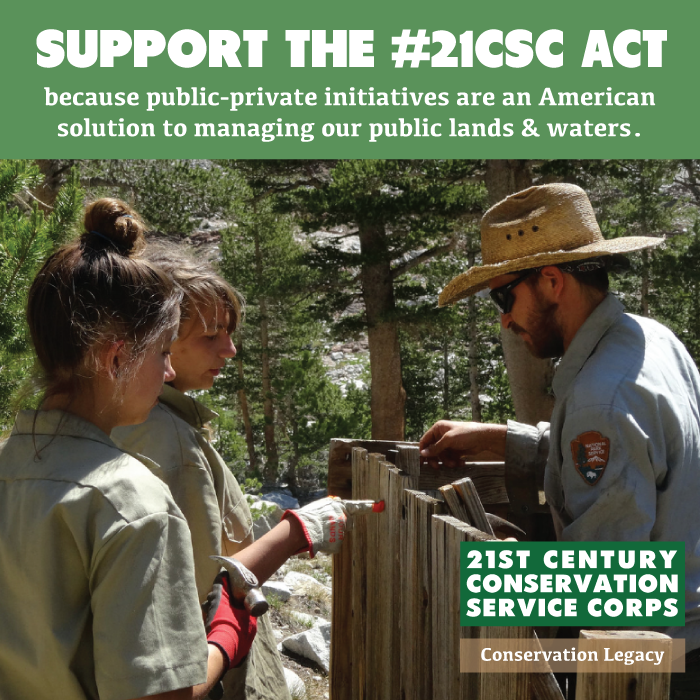 The programs of the 21CSC help address the backlogged maintenance needs of land and water management agencies; enhance outdoor recreation opportunities; improve the accessibility of public lands; and respond to wildfires and other natural disasters. 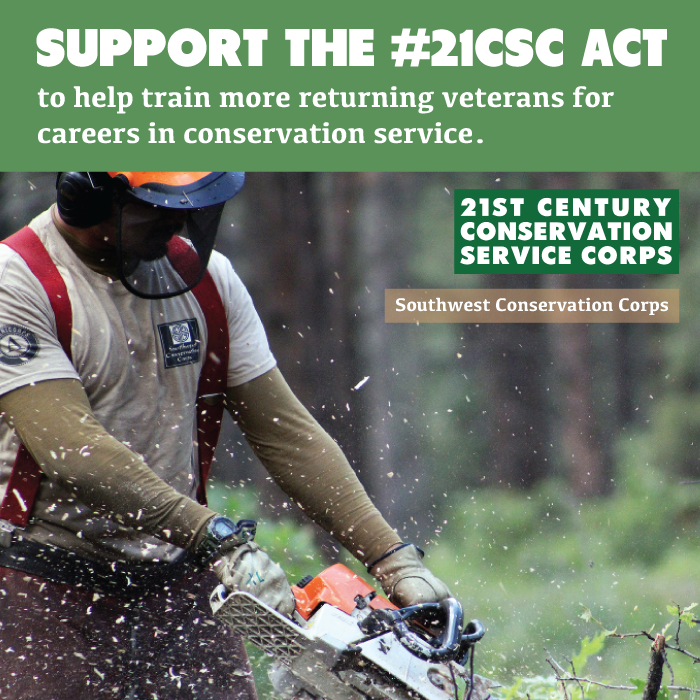 Prioritize the engagement of recent veterans and disadvantaged youth in 21CSC programs. 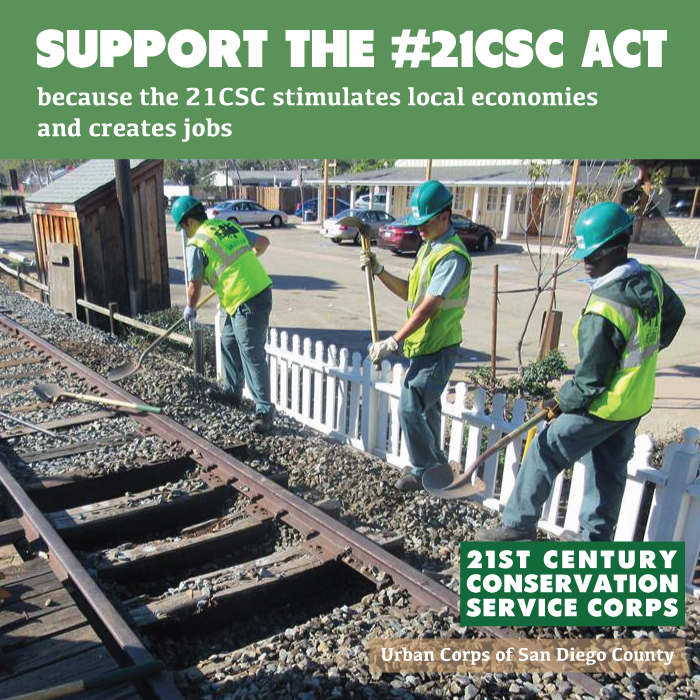 Help get the 21CSC Act passed! 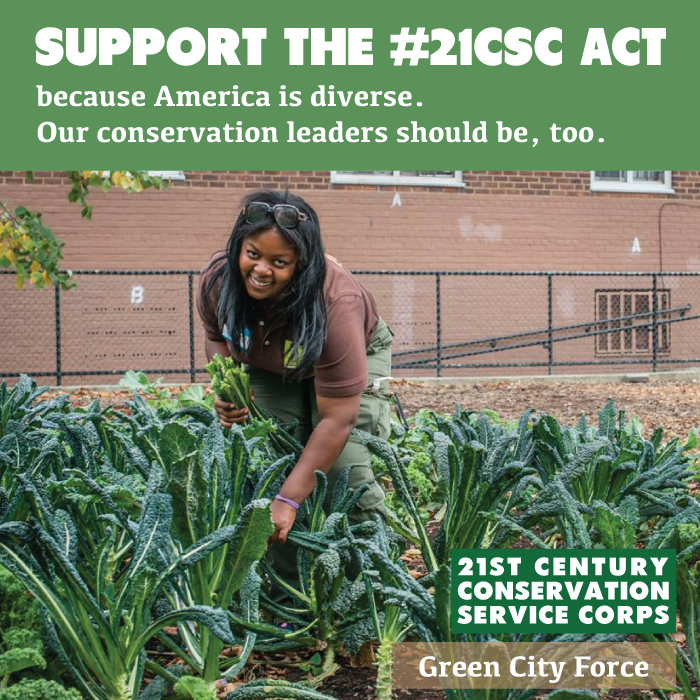 Get on social media – use this helpful packet with sample tweets and FB messages, as well as important handles and hashtags. 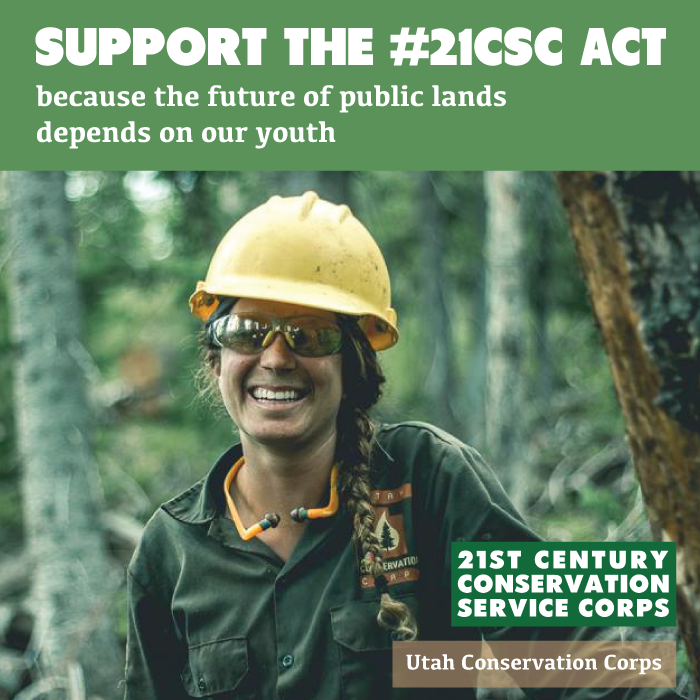 See below to download graphics you can include with your messages. 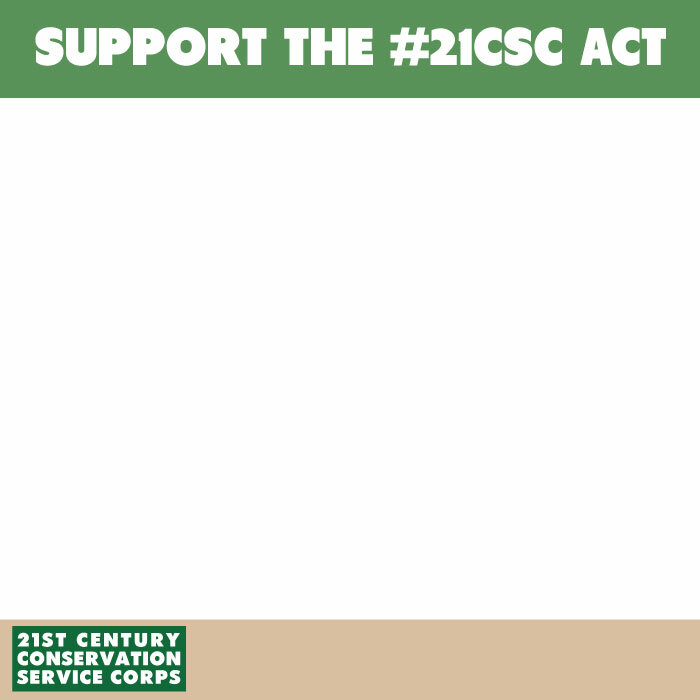 There are also 2 blank graphics you can edit to include pictures of your own 21CSC program. 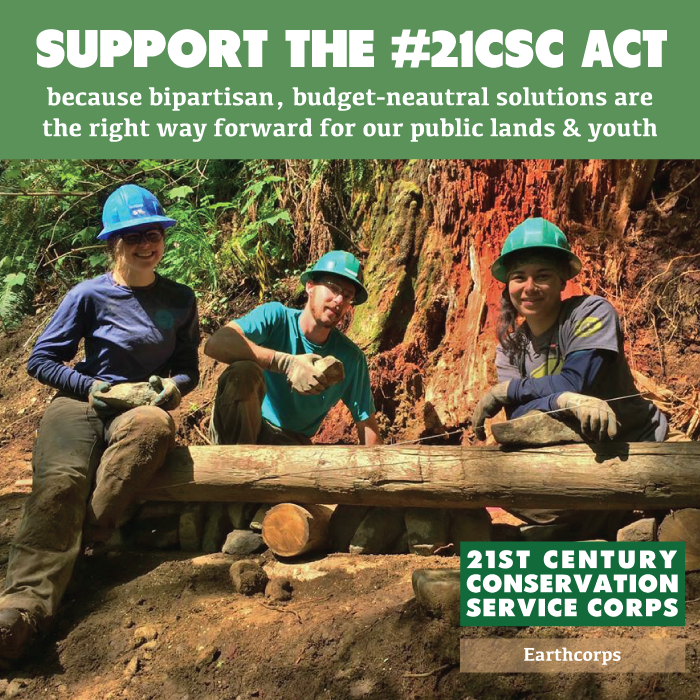 Copy and paste this message into emails to your Senators and House Members and urge them to co-sponsor this bipartisan and cost-saving legislation! 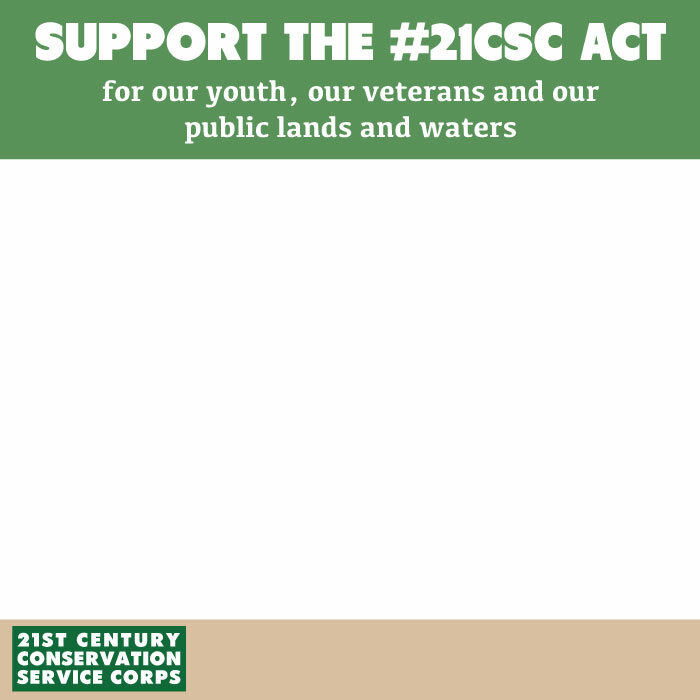 Please check this document to see if your Members of Congress are on key House and Senate Committees. 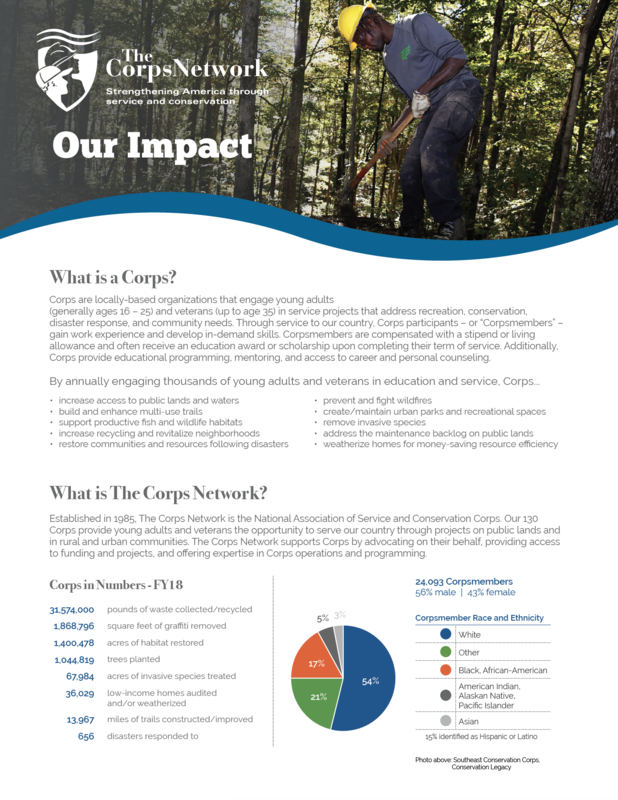 If so, please also send the message to the staff members listed in the document.